Investing in cryptocurrency is a smart business idea and for that, using a proper wallet is inevitable. Choosing one or more cryptocurrency wallet types is your first step to send or receive cryptocurrencies like BTC , ethereum, Dash or Litecoin. The most popular cryptocurrency wallets are often a good choice and tend to be successful for a reason. There exist several types of cryptocurrency wallets that enable users to store and access their digital currencies in different ways. If you wish to Build your own cryptocurrency and make that currency secure then the best cryptocurrency wallet will assist you the rest. If you’re intrigued by using cryptocurrencies like bitcoin or Ether, then you need a best cryptocurrency wallet. when dealing with larger sums of money, the best practice is to make use of a private wallet which not only gives you more command over your funds but also provides more financial flexibility. Bitcoin and other altcoins have been increasing in value, it is requisite to have your own crypto wallet to store and manage your coins. Alike bank account, a cryptocurrency wallet is basically used to keep, send and receive your digital assets. Wallets are secure to varying degrees. The level of cryptocurrency security depends on the kind of wallet everyone is using and the service provider. Even though many online wallets have witnessed the most vulnerable and prone to hacking attacks, persistent security precautions need to be performed and followed when using any wallet. Take in mind that no matter which wallet you use, losing your private keys will lead you to lose your money. Moreover, if your crypto wallet gets hacked, or you send money to a scammer, there is no way to reclaim lost currency or reverse the transaction. You must take precautions and be very careful! Separate your funds using cold storage where users should have two digital wallets or more which depends upon the crypto funds. For the purpose of trading and transactional process, one wallet can be used and the other wallet should be used to store savings and to be kept in a secure location. Make sure to keep your software up-to-date so that you have the latest security enhancements available. You should regularly update not only your wallet software but also the computer/mobile software..
By setting up long and complex password & ensuring any withdrawal of funds requires a password is a start.The more layer of security, the much better it will be. Whenever the wallet application gets opened, there should have an extra security layer like two-factor authentication & additional pin code requirements for the best cryptocurrency wallet. Coinbase is an online web-based wallet which is the beginner-friendly version of GDAX and dedicated cryptocurrency exchange, a Bitcoin, and Ethereum wallet, which is supported in more than 30 countries. As a hot wallet, you can quickly & easily transfer to the GDAX exchange instantly with free of cost. The main benefit of Coinbase is that, it has a vault available if you wish to trade convenience for an added layer of security. The only Drawback is that it only offers Bitcoin, Litecoin & Ethereum Wallets. Its free to sign up but they do charge a minimal transaction fees depending upon the size of transaction. You need to verify your account by providing one or more multiple pieces of identity, depending on how much you buy. Ledger Nano S is a hardware wallet from a French Start -up. The main reason why it is popular is because of its relatively low price of $65 while compared with other competitors. It is more portable & much easier to carry around. It is a hardware wallet that comes at a very competitive price. It’s just like a USB drive which connects to any USB port . It doesn’t have a battery but it only starts when plugged into a PC ( Mobile devices). It comes along with OLED screen & two side buttons for confirming transactions as well. When you configure your nano S as your new device, the first thing you need to do is set up a pin code in order to secure your wallet. Later note down that and store your 24-word recovery phrase. To restore your bitcoins you can use this recovery phrase anytime. Exodus is an almost new and unknown digital wallet that is currently only accessible on the desktop. It permits the storage and trading of Bitcoin, other Altcoins such as Ether, Litecoins, Dogecoins, and Dash through an incredibly easy to use, intuitive and attractive interface. It offers a very easy manageable guide to backup your wallet. The greatest benefit about Exodus is that it has a built-in shapeshift exchange that allows users to trade altcoins for bitcoins & vise versa without leaving the wallet. Exodus wallet software supports exchanging crypto-assets and currencies using Shapeshift. Sadly Dogecoin is no longer supported. Electrum was created by Thomas Voegtlin in 2011, as a result, various developers have contributed to its source code. It is the fastest and lightweight wallet for desktop & mobile users. It has got a long list of supported features to make it as the most flexible wallet today. Electrum can integrate with hardware wallets and is much stronger to achieve anonymity (with Tor). On the security side, Electrum enables multi-sig support, The main advantage is that it is not tied to a centralized server, so server downtime will not be an issue. Electrum also allows you to store private key offline. Taking your crypto around safely and conveniently is no longer a distant dream. Jaxx, the world’s first mobile wallet solution is now available for the Versions of iOS, Android, desktop, and browser.Jaxx usually uses a mnemonic seed to backup your wallet or transfer it to a different device. It also allows you to receive your funds, scan QR code, view your crypto holdings, all in one intuitive app. Many advanced features such as shapeshift integration and multiple platform wallet linkage make this as a preferred wallet choice for the tech-savvy. The only drawback as we can here is that it might have a steep learning curve, & features might not be stable with all the latest integrations. With Time this will prove to be a promising solution. Jaxx is an excellent choice for those who require a Multicurrency wallet for safe and secure transactions. When it comes to crypto safety, You just need to be a bit cautious to ensure safety and security aspect of your fund transfers and transactions. All the best cryptocurrency wallet described above contain certain features to satisfy the needs of advanced and novice users alike. However, before choosing a top cryptocurrency wallet, it’s very important that users do a bit of research on their own, as it involves their own hard-earned money. 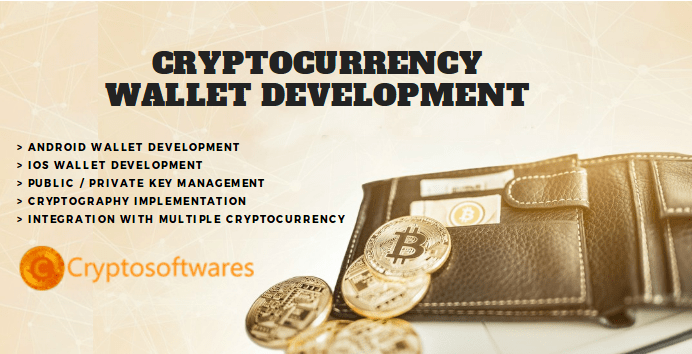 If you wish to develop your own cryptocurrency wallet, there are a lot of cryptocurrency wallet development provider’s in the market. They will assist you in the entire development phase.